Over fifty years ago, French composer Pierre Schaeffer, the father of musique concrète, described sound recording as ‘objet sonore’, suggesting that, while documenting a sonic event, it is also one. This is very much the philosophy behind the Sound Matter series of projects orchestrated by Spanish sound artist Francisco López. After Brussels in 2004, Montreal in 2006 and Victoriaville in 2007, López was invited to come to Birmingham and gather a handful of regional sound artists. The concept behind the Sound Matter projects is pretty simple. Get a few sound artists together, send them to collect sounds from a particular city, let them process them as they see fit. These two sound pools are then a common platform for each of the artists involved to create their own work. 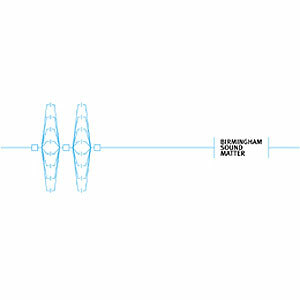 Contributing to Birmingham Sound Matter are Helena Gough, Martin Clarke, Bobby Bird, Cormac Faulkner, Annie Mahtani, Mark Harris, Nicholas Bullen and Francisco López. The project started with a workshop held in early 2009, and the complete process, from the harvesting of sounds to the processing, composition and recording, took place during the following three months, with a concert, in Birmingham on 8 July bringing it to a close. This album, released on Audiobulb, documents the resulting work. One artist who has worked on a similar project is Bobby Bird. In 2000, Bird, working as Higher Intelligence Agency, teamed up with Norwegian ambient artist Geir Jenssen, AKA Biosphere for Birmingham Frequencies, an album made using sounds collected around Birmingham. 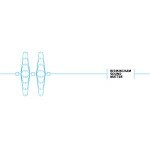 This followed a similar project three years before in Tromsø, Jenssen’s home town, during the Polar Music Festival, where the pair created music made exclusively from sounds sourced around the performing area. Here, he contributes Combustion, a piece which starts as a slow moving drone-like form, punctuated by regular pulses, but as Bird progressively brings grainy sounds and, eventually, almost industrial noises, his composition becomes denser and more organic. Later, Annie Mahtani creates, with Shadows, a piece articulated around two very distinct sections. In the first one, she weaves light textures into much more robust and dense forms. Following a few seconds of silence, the more bucolic second part opens with bird songs, but the urban soundscape becomes increasingly vibrant and predominant, evoking the expansion of the city over the countryside, but Mahtani eventually returns to nature sounds to conclude. Opening electro acoustic composition Grau, by Helena Gough, is one of the most complex pieces presented here, as she arranges a series of segments into a narrative sequence which goes from peaceful and delicate to cold and mechanical, while Nicholas Bullen’s Proximity also goes through a number of phases, but, apart for a few white noise discharges, his are more tempered. Others chose a more typically musical approach. This is the case of Mark Harris, whose Last Days focuses on long progressive drones which are given a soft orchestral feel, while crackles and statics are dusted over the latter part of the track. Drones are also fundamental to Martin Clarke’s piece. Using bell sounds, treated and stretched so they lose their percussive aspect but none of their rich tonal warmth, he offers here a surprisingly ethereal and exquisite moment with Sleep Birmingham Sleep. Concluding this album is Francisco López’s Untitled #225, which, along its ten minutes or so, builds from slow moving forms into much grander and more ambitious sound clouds as noises gather along the way. Francisco López and his contributors don’t aim at building a sonic map of the city here, but use the noises and sounds it generates and turn them into particles that contribute to the overall work. This is, perhaps, more a representation of what cities are like, sprawling and ever changing. The result is particularly atmospheric and fascinating, as all artists share the same pool of sounds, yet each track is an utterly personal interpretation of it. In the hands of these, sound is, indeed a wonderful object.